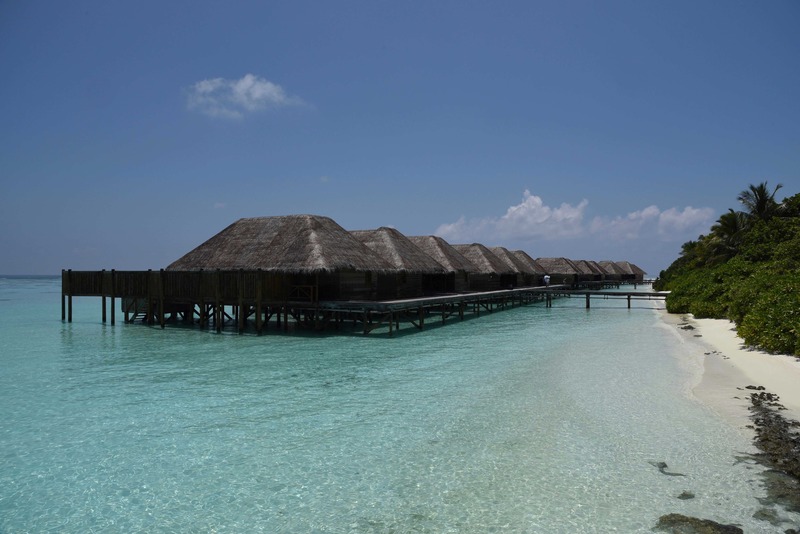 A stay in the Maldives can take some time to prepare for - here's what you need to know about staying at Conrad Maldives Rangali Island. Over the years as a (comped) Hilton Gold/Diamond member I’d managed to accumulate a fair amount of Hilton points – my initial plan was to use them for a 5-night stay at Conrad Tokyo, but when a better deal came up for that property, I started thinking about where else I could spend my points on. Conrad Maldives Rangali Island is often viewed as one of the the crown jewels of the Hilton portfolio (others include Conrad Bora Bora and Conrad Koh Samui), so it seemed a no-brainer to begin making plans to unload my points there. It’s not quite as straightforward as booking a city hotel, though, and I found myself doing a fair amount of research in the lead-up to the trip, especially in an effort to keep costs manageable. This post aims to highlight some of that research, with the rest of the trip report focusing on my experience of the property. Hopefully this is helpful for any of you planning a trip to the Maldives! American sites often chronicle a lengthy odyssey from their home city to get to Malé (the Maldivian capital, where the main airport is), but thankfully for the Singapore-based traveller, we get to take a short 4½-hour direct flight instead. If you can fly in via SilkAir (MI480/482) I’d definitely suggest that, since it’ll get you in around noon, just in time to check in to the property. All other options will get you in later at night, which means either a wasted day at the property, or having to stay overnight at a hotel (probably on Malé itself) before checking in to the Conrad on the following day. I can’t really recommend redeeming miles for a short flight like this, especially if the best hardware available is SQ’s A330, which will get you the 2009 regional seat (check out the SQ seat guide for more info). An economy return saver redemption on SQ/MI costs 37,000 miles, while a business class redemption will set you back 70,000. It might still be worth considering if the revenue rate on your preferred dates of travel is on the high side – the business class redemption (assuming 2cpm valuation) could potentially cost the same as an economy class revenue ticket, if so! It might also be worth redeeming if it’s on the Spontaneous Escapes list, though personally I’d rather just settle the tickets in advance. Paying cash for a Maldivian resort? Am I crazy (rich)? As it turns out, it can actually be (relatively) affordable. If you’ve seen Conrad Maldives mentioned in blogs before, you’d probably have seen the eye-gouging figures for revenue rates. Indeed, the cheapest room type (the beach villa) can cost about US$1000 per night, with premium villas selling for upwards of US$5000. What is less frequently mentioned is how prices are actually seasonal in nature – if you check for rates during low season, you’ll be able to find prices closer to US$500. Sure, it rains more during low season, but that’s usually in the form of passing showers and doesn’t actually mar the travel experience too much (or so I’ve heard). Aim for low season during a flash sale (like the recent 50% sale in late Nov) and you might be able to secure rooms at less than US$300 per night. Staying for (at least) four nights? Combo with the Citi Prestige’s complimentary night feature and give yourself a pat on the back for a job well done. 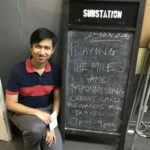 But… this is the Milelion (blog). Paying cash for accommodation just seems… wrong. Not to worry; you can still put your credit card points to work (if you happen to have a bunch of AMEX MR to convert, for instance), or just buy some Hilton Honors points directly. 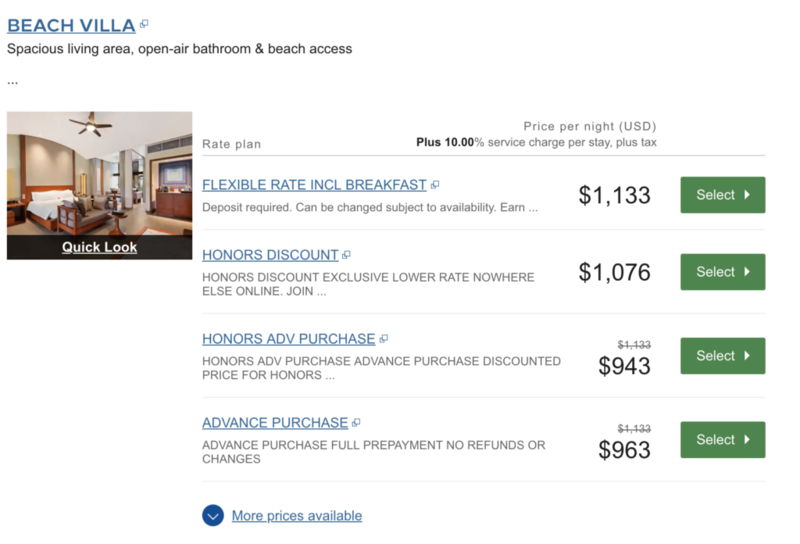 The standard award rate for the Beach Villa is 95,000 Hilton Honors points per night – since Hilton Silver (and above) members get the 5th night free for redemptions, you’d probably want to book multiples of 5 in order to maximise the value of your Hilton points. 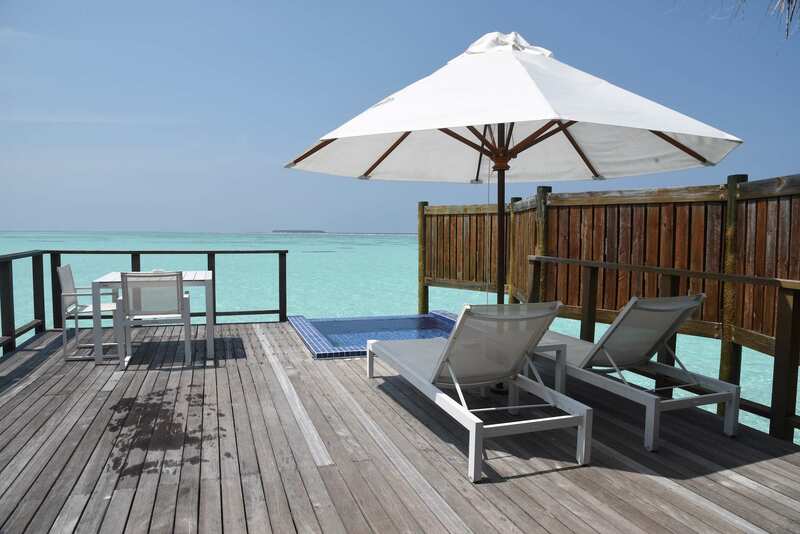 380,000 points is a lot (it’ll cost you US$1900 if you buy them while on sale, though you probably won’t be able to buy that many in one shot anyway), but it’ll allow you to secure a Conrad Maldives stay at US$380/night (net), even during high season. 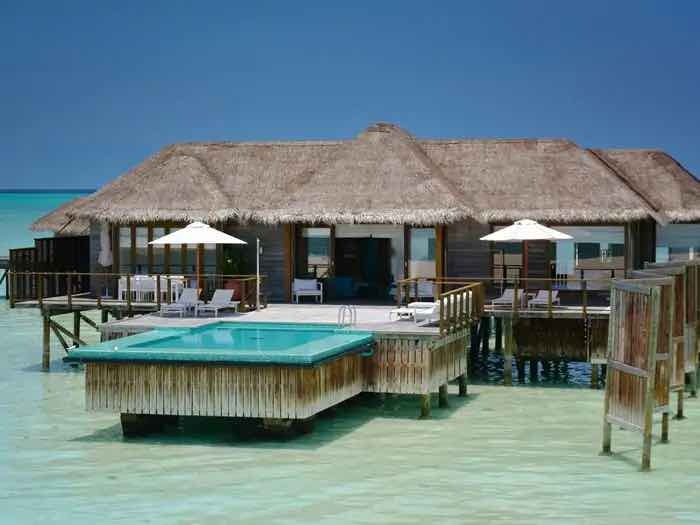 What’s perhaps a little less well-known is that the second-tier room type, the Water Villa, is also available as a standard award at 95,000 points (since late 2017, if I recall correctly). In other words, redeeming a Water Villa costs exactly the same as a Beach Villa! It’s quite common for people to request to switch between the Beach and Water Villa in the middle of their stay in order to get a taste of each (I ended up doing that), but if the thought of shifting all your stuff over seems more trouble than it’s worth, I suggest going for the Water Villa. Not only are you getting more value for your Hilton points, the experience is simply more unique. Conrad Maldives is often running at high occupancy (especially during high season), and gets plenty of Gold/Diamond guests. I wouldn’t expect a complimentary upgrade, though I suppose it’s possible. If you so desire, it’s possible to arrange to for a paid upgrade by emailing the property beforehand (maybe around 3 weeks before your stay) and making the request. The property wiki on FlyerTalk has a section on upgrade pricing, if you’re curious about the market rate – it ranges from as low as US$45 to US$3000+, depending on what villa type you’re looking to upgrade to. I didn’t opt for a paid upgrade and thought that the standard Beach and Water Villas were already awesome experiences, but if you’re planning to pay then definitely redeem Water Villas to minimise upgrade costs! So you’ve booked your accommodation – the main expenses have been taken care of, right? Not quite. Due to the isolated nature of Maldivian resorts, it turns out that there’re plenty of additional expenses you’re likely to incur. Maldivian resorts are mostly situated on islands scattered throughout the Maldives – Conrad Maldives is actually situated 30min away from Malé by seaplane. 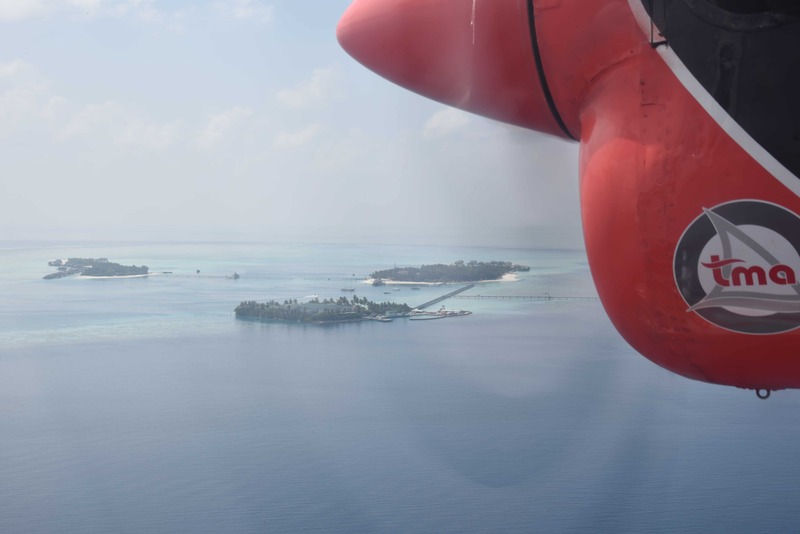 The fee for this seaplane transfer comes up to almost US$600 (return) per person – this was increased in Oct 2018, unfortunately. Aside from transport, you’re essentially trapped on the island(s) for the duration of your stay, so be prepared to spend more on food and leisure activities – both of which can be very pricey! All in all, we ended up spending about US$2150 (almost S$3000) for a 5-night stay there, not counting the 380k Hilton points I’d used for redeeming the stay. Sure, we could have saved more, but I think we managed to keep things affordable while managing to enjoy some luxuries during the stay. There are some who would scoff at the idea of scrimping when you’re staying at a nice property like Conrad Maldives, but my take is that there’s nothing wrong with being prudent with your money and being more selective with what you want to splurge on. I’ve omitted a fair amount of detail in order to keep this post more readable – I did look through quite a number of sites while doing research for this trip, but there are two resources in particular that I’d recommend as further reading. In fact, I’ve already linked to specific sections of each earlier! Conrad Maldives thread (FlyerTalk): FlyerTalk can be a very useful repository of knowledge, but this thread is particularly rich in information. The wiki section at the very beginning is particularly useful, summarising key information that is continuously being updated. Conrad Maldives trip report (Going Awesome Places): Though rather dated (from 2014), this trip report is pretty detailed. I especially appreciated that the writer’s priorities seemed pretty similar to my own, with regards to achieving a balance of cost minimisation and enjoyment of the property. If paying cash I would definitely pick another place in the Maldives. Conrad is not bad but there are 20-30 resorts that beat it. If you have Hilton points to burn, then it makes sense to pick the Conrad (or the soon to open WA). No need to do anything really – they’ll arrange it all for you. Prior to the stay Conrad should email asking about details like flight number; I assume they make arrangements based on that. Thanks for this! Godsend, was scouring Milelion last night on cheap deals for Hilton Maldives. Did you find 5 nights excessive? Wondering if there are sufficient activities for 5 nights of stay. I really enjoyed snorkeling (which is free!) so managed to fill many of our days. I think there’s more than enough to do; but depends on what you like to do and how much you’re willing to spend, I guess! Thanks! Did you have to pay any extra taxes when you used your hilton points to redeem? Been researching and it seems like using points for redemption only gets you the room, i.e without breakfast? XL.. That would depend on which ctegory you’re redeeming for and what status you’ve got.. Yes, you’ll need to be Gold/Diamond to get complimentary breakfast. 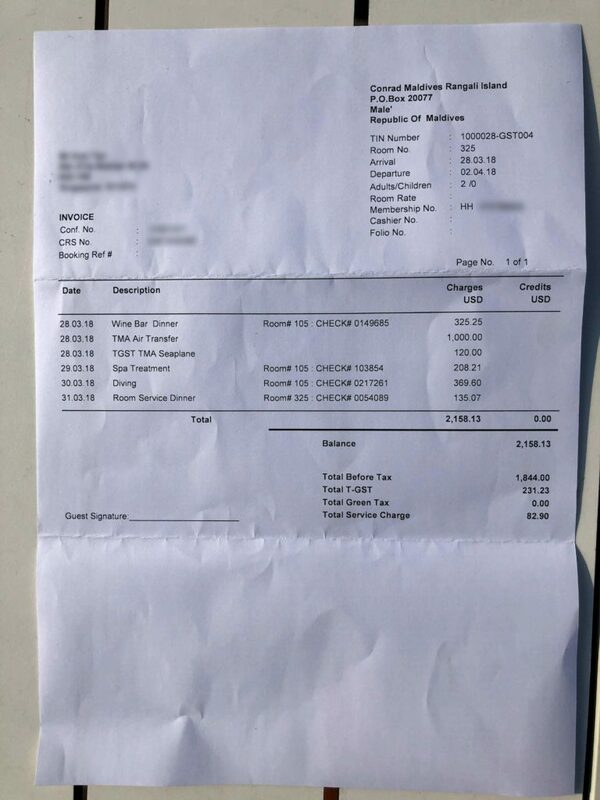 No taxes for point redemption in general – some resorts charge extra, but not this property (you can see that no additional fees were charged for room in the picture of my invoice in the post). Thanks Louis! Am certainly considering that now! Hi Louis. How did you spend so little on meals. No lunch ? One dinner ? One room service ? You don’t eat ;). And what about other paid activities (you only spend on a spa?). How did you do it. Simple answer is by being a cheapskate… mainly by eating more during breakfast (as late as possible) + tea + evening canapes in lieu of lunch; supplemented with some instant meals brought over from home. Think skipping lunch was quite comfortably doable given the quantity of free food available; if you’re not into instant food I think Rangali Bar / room service (surprisingly) do offer more affordable options if you’re not looking to splurge every night.